RGBA abbreviates for Red Green Blue Alpha. 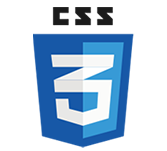 It is an extension of CSS2 colors,Alpha specifies the opacity of a color and parameter number is a numerical between 0.0 to 1.0. HSL abbreviates for hue, saturation, lightness. Here, Huge is a degree on the color wheel, saturation and lightness are the percentage values between 0 % to 100%. HSLA abbreviates for hue, saturation, lightness and alpha. Alpha value defines the opacity as shown RGBA. opacity is a thinner paints need black added to add opacity.